Women have reason to celebrate their accomplishments in their longstanding efforts for equal treatment in the workplace. In nearly every field that was once a male domain, women are establishing a strong presence. Nonetheless, women still face challenges at work every day. Most of these major issues are nothing new. Whether you are a working woman or an employer trying to compete for the best talent, you need to know how to recognize the issues and how to handle them as a part of HR compliance. In taking on these roadblocks, successfully overcoming them will involve enlisting appropriate and strategic support from others in the organization. As a worker, going it alone may brand you as a problem employee and impede your ability to climb the career ladder. As an employer, your leadership needs to support the effort and demonstrate their commitment to the workforce. Making sure that female employees are a high priority in your company’s HR compliance strategy will help attract more women to apply for open positions and keep your current female employees feeling safe, protected, and valued. Here are the top five challenges that many women face in the office on a day to day basis. Employers cannot discriminate, or take adverse action against a woman on the basis of her pregnancy. However, an employer does not have to provide paid maternity leave or paid leave for child care later on. A woman’s absence from work to take care of a child is likely to affect her upward mobility in the workplace. A career woman who becomes pregnant, or a working mother, can address this issue by negotiating an arrangement that allows flexible work options such as telecommuting and working non-standard business hours. Flexible schedules and hours are becoming more prevalent perks offered by employers as an important way to attract talented workers. In fact, this kind of workplace flexibility helps both women and men make their family lives a priority over career advancement. Women still earn less than men on average. Women are hired into entry level positions at lower pay rates, and the pay gap gets bigger the higher up women go. An employer should conduct a pay audit to determine if a pay gap exists. If no pay gap exists, the employer should consider disclosing that information to the workforce and to employment candidates. One way to mitigate a pay gap from developing is to prohibit negotiations over pay. A woman can ask her employer to conduct a pay audit, but she risks being viewed by management as a troublemaker. The woman in that situation needs to decide whether a pay gap is a fight with the employer that she wants to take on or not. If not, the woman may want to consider looking for a new job at a company where management has closed the pay gap. Leaving for a new position seems like a good way to make up the pay disparity. However, statistics show that a woman with an MBA who changes jobs two or more times will be paid $53,472 less than women who stayed at their first job and climbed the ranks. Women who change jobs have to prove themselves to their new employers. As compared to men with MBAs who changed jobs earned $13,743 more than those who stayed with their first employer. Top levels of management are still male-dominated in many organizations. Why is that? Often it is due to the fact that the high visibility, mission-critical tasks that are career stepping stones are assigned to men. This tendency could reflect entrenched biases among decision-makers in the organization. For women, especially women of color, these can be major hurdles in a career path. 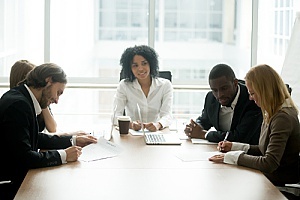 To overcome it, a woman will need to approach a supportive supervisor or decision-maker and negotiate meaningful assignments that will give her the opportunity to make important contributions to the organization. Ultimately, the employer will need to correct this imbalance in opportunities. Employers will need to encourage women’s participation in important assignments. Employers can do this by mentoring their career-minded female employees, and engaging them by making sure women workers are included by assigning them to project teams, holding them responsible for their assignments, and giving them the chance to perform. Sexual harassment is still an issue in the workplace. Women need to report it when it happens and management needs investigate it and take appropriate action to correct it. The challenges women face are more pronounced in certain industries than others. 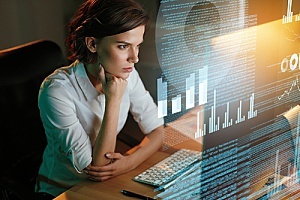 In high tech, women face significant hurdles. The same appears to be true in research laboratories, energy industries, and similar science/tech-based organizations. As a result, women in these organizations tend to leave more often than their male colleagues. A woman trying to make a career in these industries will need to be prepared for these biases, but she need not resign herself to it. To attract and retain the best talent, employers in these industries need to make the organizational and cultural changes listed above or they will not face significant talent shortages in their workforces. They simply will not be able to attract or retain the kind of highly-skilled women or men they need. Those workers will migrate to other industries where the workplace environment is more family-friendly and supportive of diversity in the workforce. A woman in a high tech position may find her organization receptive to her negotiations for better career opportunities, flexible work schedules, and cultural changes. Whether you are an employer or a career woman looking for ways to address the challenges women workers face, you should seek the help of an expert. Contact Smart HR for more information about how they can provide HR solutions for your firm. They can develop systems to better manage, and innovate your HR compliance strategies so you can be better equipped to accomplish organizational goals.